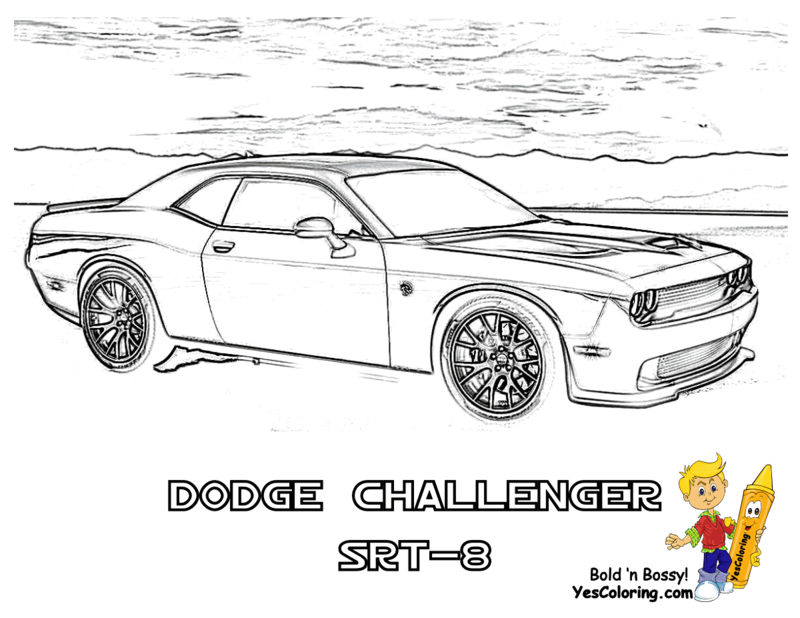 Ice Cool Car Coloring Pages 03! 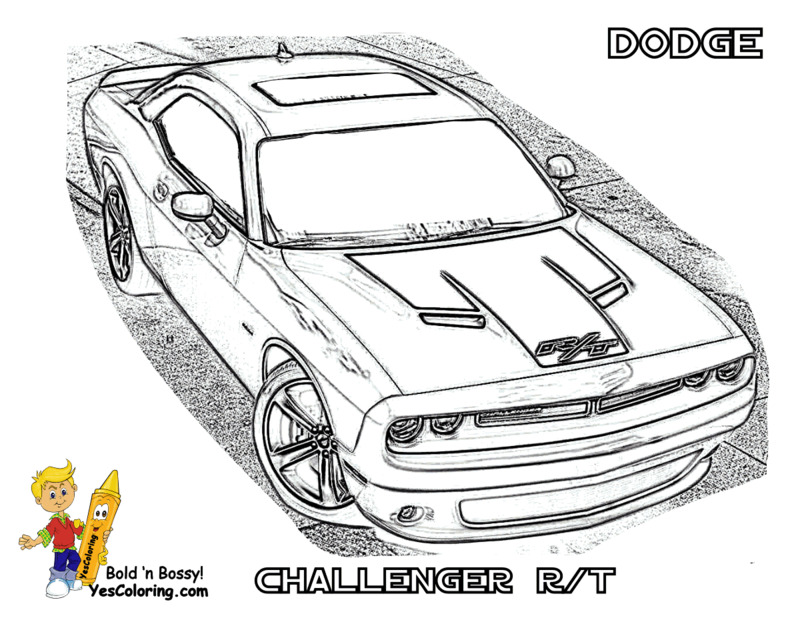 The Dodge Challenger is the name of three generations of American automobiles by Chrysler. 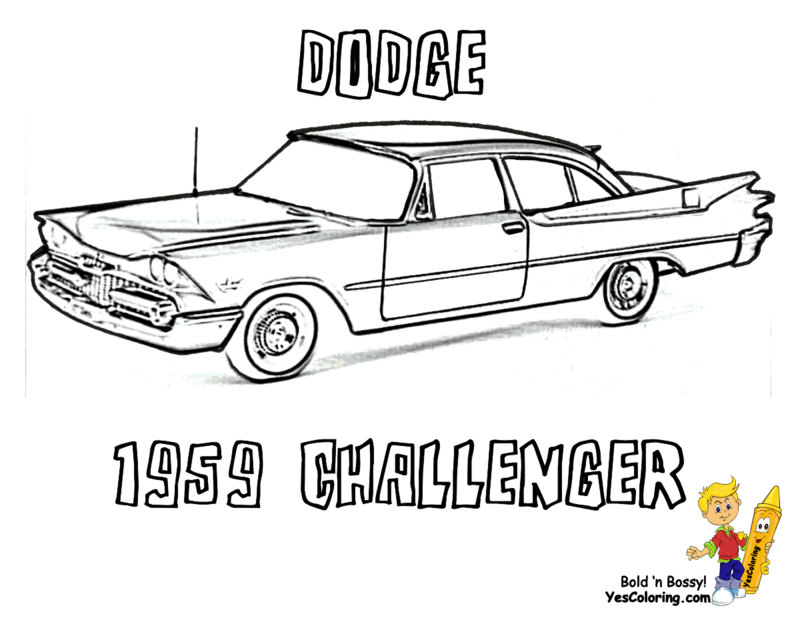 The Dodge Silver Challenger was produced from 1958 to 1959. 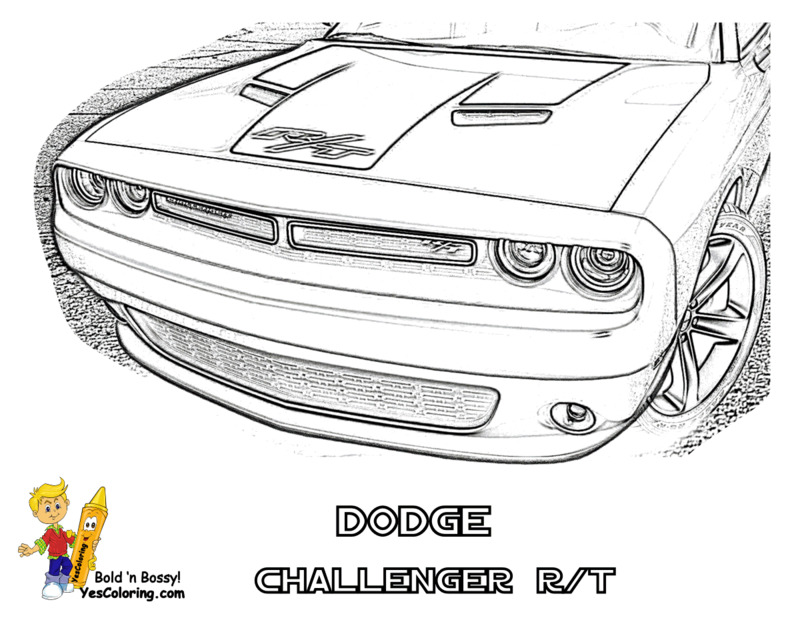 From 1969 to 1974, the first generation Dodge Challenger pony car was built. The second generation, from 1978 to 1983. The third, and current generation, was introduced in 2008 as a rival to the Ford Mustang and the Chevrolet Camaro. Print Out These Classic Cars - Performance Cars - Luxury SUVs - Top Selling Cars and 'Need For Speed' Racing Cars. Agent 007 has the coolest cars. Aston Martin automobiles are his favorite vehicles. Bond has been equipped with various Aston Martin cars that feature deadly weapons, offensive and quick getaway systems. Dodge! BMW! Aston Martin! Audi!